Part of a larger photograph of a mill damaged during fighting in the First World War. Click to enlarge. 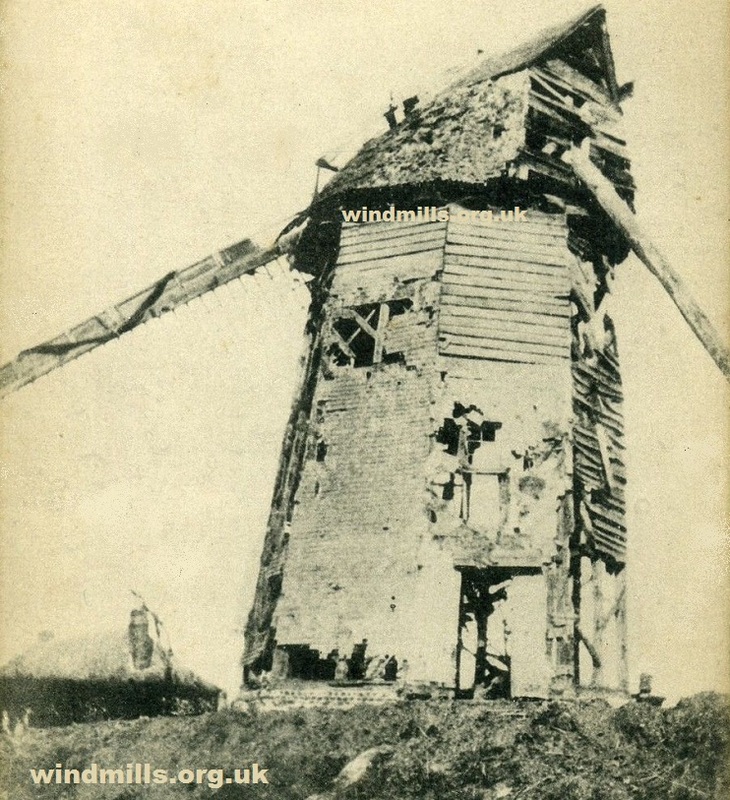 This month’s image from our windmill archive is of a war-damaged windmill near Calais in northern France. This mill was photographed in 1916. This entry was posted in Old Images, Windmills and tagged france on October 18, 2014 by Tower Mill.